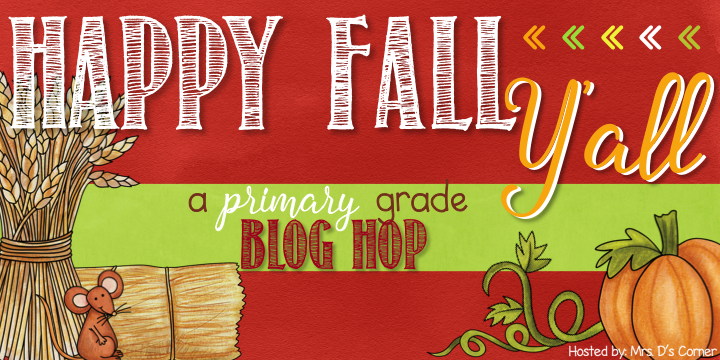 Fall Blog Hop - All Things Special Ed. Happy Fall Everyone! Thank you for stopping by and visiting me for the Fall Blog Hop! I love fall, it is one of my favorite seasons- weather has cooled down (summer's can get humid here in Wisconsin!) so I can wear my favorite jeans and sweater and it is football season- Go Pack Go!! 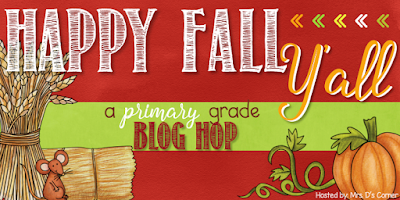 A group of fabulous educators and I have gotten together to share with you our favorite fall things. Of course there are tons of freebies, a giveaway, and some awesome ideas on how to get into the fall season! So don't forget to keep following the links to the next blog to get all your goodies! One of my Favorite books to read with students is: "I Need My Monster" by Amanda Noll. It is a funny twist on the monster under the bed childhood scare. In this story the main character can not fall asleep without his monster who stays under his bed- unfortunately his monster went fishing and won't be back for a week! How funny and what a cute twist! 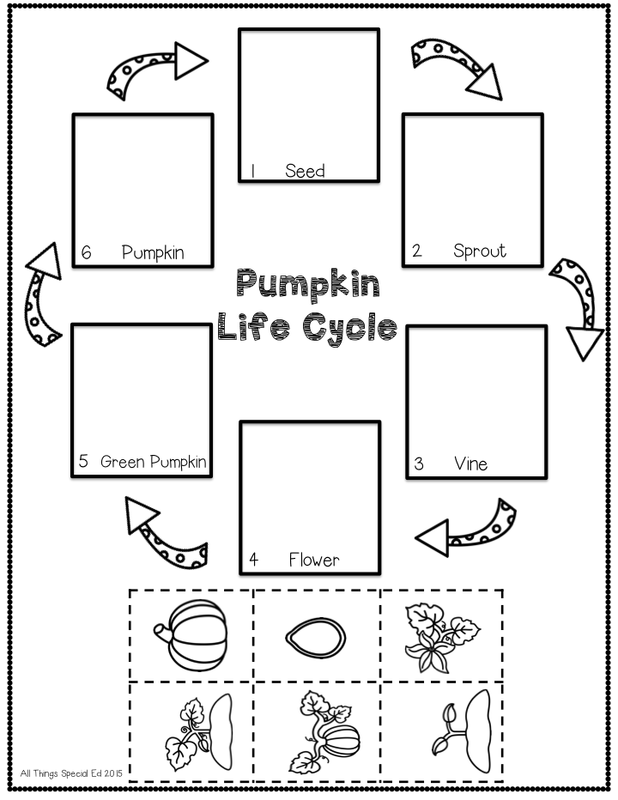 Check out this resource I found from TPT that I used to go along with the book! I love being able to wear a pair of my favorite jeans and putting on a comfy sweater. I have a new favorite that I just received from my first ever Stitch Fix box (I am sure you have heard of Stitch Fix and if not you need to do this now!!). I was hesitant at first as I have a hard time spending a lot of money on clothes but if it is an item that I love and will wear it a lot, then I am all game! I loved everything in my box that I received in the mail (and who doesn't like getting mail- a box of 5 items specifically picked for you). I had to get this sweater! It is called the "Jessia Open Drap Cardigain" by Collective Concepts. It is so comfy, fit perfectly, and a classic piece to wear in fall and into winter! And for every item that comes in your box, you get a card on how to style that piece with different options! Great for those who need some help or to get in-trend ideas! You can get jewelry, dresses, blouses, shoes, coats, purses, jeans/pants- and if your like me and have a hard time finding jeans that fix great- you just tell them what you want and don't want so no jeans in my fixes for me! Also in this fix I got a fun necklace in gold and silver. Love the mix of the metal colors, It is long and can go with almost anything! Definitely give it a try and start your style profile! Stitch Fix refferal link You won't be disappointed! I love pumpkins- my twin boys even have pumpkins growing in our garden this year (Note pumpkins can take over your yard if not trimmed back)! I love an iced pumpkin latte lite from Dunkin Donuts and of course when someone brings in pumpkin bars with cream cheese frosting into the lounge- ahhh you got me! I can not turn it down (hello WW and staying on track- stay away from the teachers lounge!!). 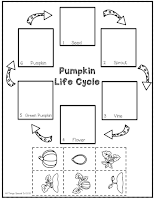 Since I have a love for pumpkins, I created a great freebie to use in your classroom called "Pumpkin Life Cycle". 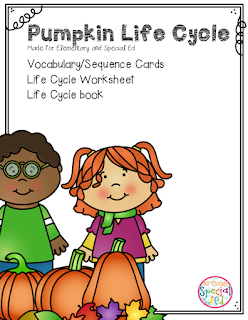 This packet includes: Vocabulary/Sequencing Cards, Life Cycle Worksheet and a Life Cycle Adaptive Book. Head on over and get your copy today- and as always feedback is welcomed and appreciated! Clink on the picture below to grab your freebie from my store today. Now that you got your freebie, hop on over to Miss, Hey Miss blog to keep following the chain!! And don't forget to grab all your freebies, giveaway's and some great Fall ideas! 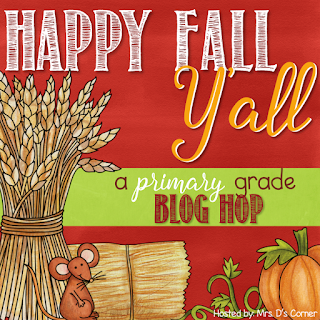 And a special thank you to Mrs. D's Corners for putting this awesome blog hop together! Thank you for the amazing freebie and thanks for being in the hop!